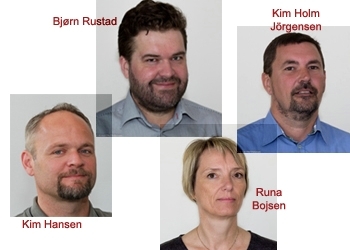 Meet our new MD and other key persons at Lesjöfors Tinglev! Brian Warming-Jensen is taking on the challenging task of leading Lesjöfors Tinglev towards ambitious goals when former MD Steen Hedegard now retires. Brian is since many years a highly respected member of the Tinglev team. Brian Warming-Jensen has a long and extensive experience within Lesjofors Tinglev thanks to his former position as Business Development Manager. Brian was e.g. responsible for the start-up of the compression spring division in China, and has played a crucial part in many projects that has led to Lesjöfors Tinglev's leading position in the market. 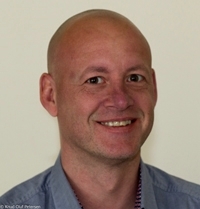 Brian is a 45 years old mechanical engineer and lives in the lovely area of Aabenraa with his wife and three children. “It is with great humbleness I take over the rudder after Steen Hedegaard. I want to develop Lesjöfors Tinglev even further in the same direction we are going now, and I am looking forward to do this with the great staff in Tinglev”, says Brian Warming-Jensen. In addition to our new MD Brian Warming-Jensen, we have made some small organizational changes. Please see your contact persons below. We are sending 2-3 newsletters per year where we introduce you to our products and services, comments on the market and other news which are good to know about Lesjöfors Tinglev. Lesjöfors Tinglev is known for high volume production of compression springs that live up to tough demands of uniform and high product quality for the HVAC industry (Heating, Ventilation and Air Conditioning) as well as the hermetic compressor industry. Tinglev has 26 employees and exports 95 % of its' products outside of Denmark. Lesjöfors is one of Europe's leading spring suppliers with internationally renowned customers. Our products are available in all possible markets and in different industries, from automotive and engineering industries to health care and household products. The assortment of springs and pressings features a unique range, where one of the biggest selections of standard springs is combined with high-tech, customized solutions. Lesjöfors has manufacturing and sales offices in many European countries and in the US, Mexico, China, Korea and Russia. Our outstanding technological expertise in the group makes us a complete supplier. Let us assist you too!